The arrival of spring means it's time to start planning for rhododendron season. 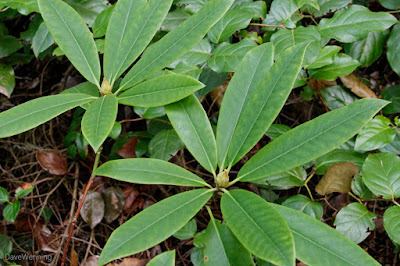 Again this year, I will be photographing the native Pacific Rhododendrons in Deception Pass State Park. Also known as the Coast Rhododendron, and California Rhododendron (R. macrophyllum), this is the official Washington State Flower. 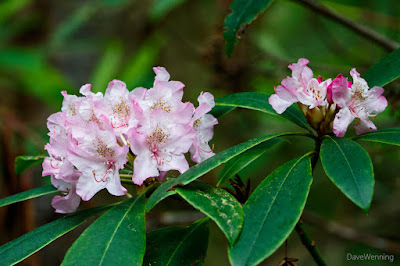 Yesterday, I went over to hike the "Rhododendron Trail" to see how things look. I saw several buds swelling, even on this small bush right next to the trail. The trails are also looking good, although some spots are a bit muddy right now. What I have dubbed the "Rhododendron Trail" is actually a network of Deception Pass trails. There are two large groves, one at Goose Rock and a second in the Hoypus Forest. I visited the Goose Rock grove yesterday. I plan to check out the Hoypus grove next week. In early March, I was at West Beach in Deception Pass State Park. It was a cold, windy, overcast day with occasional, brief sun breaks. I had the camera set up for wildlife, a 7D II with the 100-400L II lens mounted. Chances are good for spotting a Bald Eagle or two in the trees here. Black Oystercatchers also hang out here this time of year. That morning, there were no eagles, but a lot of naval aircraft were in the air. Naval Air Station Whidbey Island is just south of the park. On the spur of the moment, I turned the camera up and took a few shots as some passed overhead. I was surprised these turned out to be fairly decent. They usually don't; moving objects, bright sky, no time for settings, all the things that conspire against me were in play. 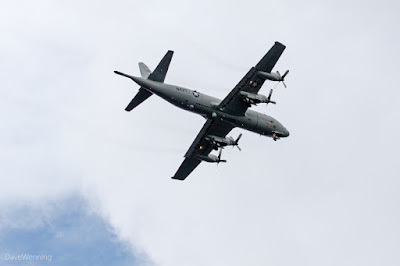 This is a Lockheed P-3C Orion Long Range Anti-submarine Warfare Aircraft. Its mission is maritime patrol and surveillance. That "stinger" on the tail contains instruments for detecting submarines under water. The old blog has a new look, thanks to some up-to-date templates just made available by Blogger. Admittedly, the old theme I was using had gotten pretty stale. A freshening up was overdue. Blogger's new themes are designed to work on any platform, PC, tablet or phone. So far, the only failure I found in this regard was my antique iPod Touch. Under iOS 5.5 (we're at 10.2 now), that was probably asking too much. I don't use it anymore anyway. It works great on the iPad Mini. I still have some work to do. Some of the formatting didn't come across correctly, so I will be cleaning up and redesigning some of the pages. Block quotes are handled very differently now. I also removed some pages that had become stale, and probably were not serving any useful purpose.